This USMC Eagle, Globe & Anchor V.2 T-Shirt takes one of our best military t-shirts and updates its style, creating another eye-catching design for patriots and military personnel alike to enjoy as casual apparel. 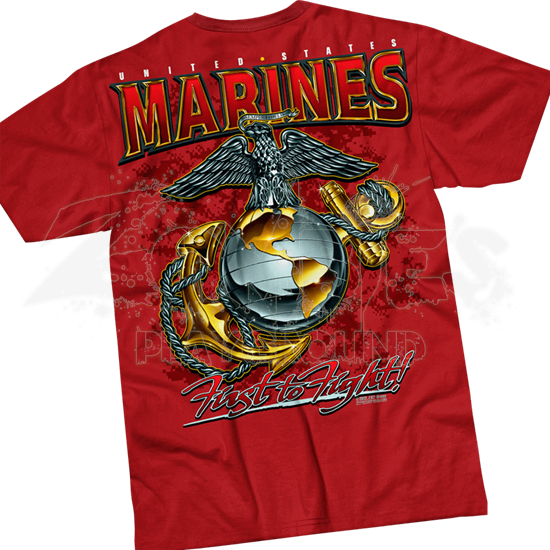 Like the original version (762-501-130), this USMC shirt makes a great advertisement for the United States Marine Corps. 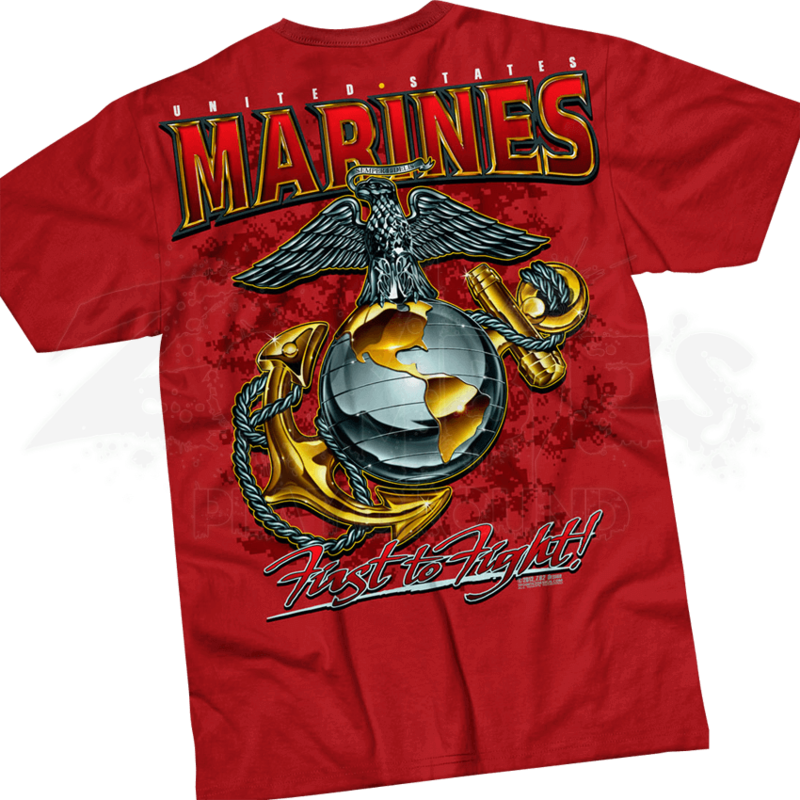 On the front, the word MARINES appears in bright red lettering, while script on the bottom adds, First to Fight. The back repeats the text at the top and bottom of the marine logo, which appears as a silvery eagle mounted atop a silver and gold globe with a golden anchor in the back. A banner flies from the beak of the eagle, offering the USMC motto of Semper Fidelis. This patriotic shirt is officially licensed USMC apparel. If you enjoy the look of the first version, then you definitely need the second, so pick up this USMC Eagle, Globe & Anchor V.2 T-Shirt today!